Home Care Metrics℠ is introduced to the client/family as part of the assessment and care planning process. Home Care Metrics℠ is also introduced to the primary care physician as a product that offers remote monitoring, and serves as an effective continuation of care in the community. The collection of data on pre-selected key indicators associated with specific diagnoses provides a wealth of information, and informs the primary care physician’s decision making process whenever there is a change in a patient’s condition. For clinicians, it means more informed decision-making, and enhanced patient compliance. It can also mean access to real time data that reflects what is happening in the home between office visits. For patients, it means fewer office and emergency room visits, and fewer unplanned hospitalizations. Risk Assessments for unplanned hospitalizations, Level of Function and Cognitive Status are built in features of Home Care Metrics℠. 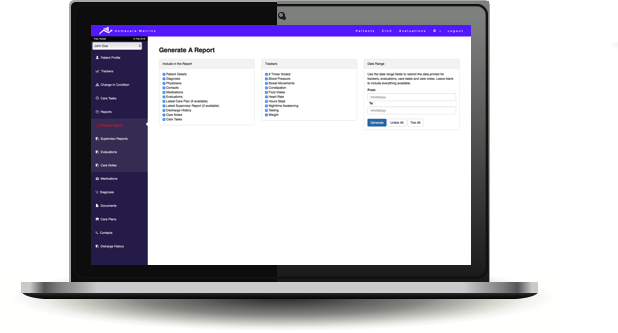 Home Care Metrics℠ accesses software to perform medication reconciliation and identify drug side-effects. The software generates a report informing the clinical team about the most likely side effects that could occur. Proactive measures are then taken to inform the patient, family, and prescribing physician/s of any interactions or risk factors. Noting any observable change in condition that indicates a health event has or will soon take place. Changes in condition entries generate immediate email and text alerts to the clinical team. 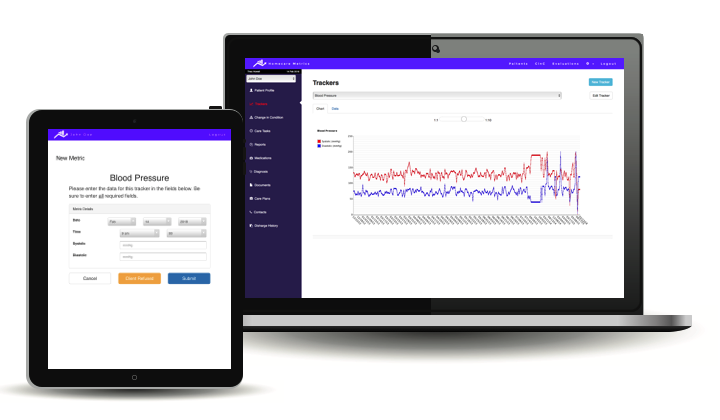 Once parameters are set for wellness tracking and change in condition alerts, care givers assigned to provide care for the client are trained to observe and record client specific customized information in Home Care Metrics™. The clinical team reviews the metrics and intervenes when metric readings exceed pre-set parameters. 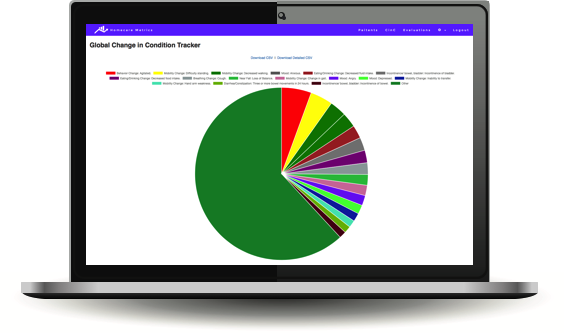 Pre-set trackers identify values outside of the normal range for the client. Example -Parameters can be set to trigger an alert if a client with hypertension has three consecutive blood pressure readings above 140/85. Similarly, a client with congestive heart failure and a history of fluid retention shows a weight gain in excess of five pounds over a specified period of time an alert will be delivered to the clinical team. Data trends are graphed for individual clients to help track progress over hours, days, weeks or even months & years. Aggregate client data can be graphed and used as part of continuous quality improvement and to assess staff training needs. Copyright © 2012 Wellspring Personal Care. All rights reserved.